Volkswagen Caravelle Boot Space, Size, Seats | What Car? One of the advantages of the Caravelle’s van base is that you can have it in two lengths. The short wheelbase is far more manageable on the road, but you’ll have to compromise leg room if you want any sort of boot at all. Go for the long wheelbase and you’ll be able to have your Battenberg and scoff it; just remember that finding a parking space long enough will consume much of your life. 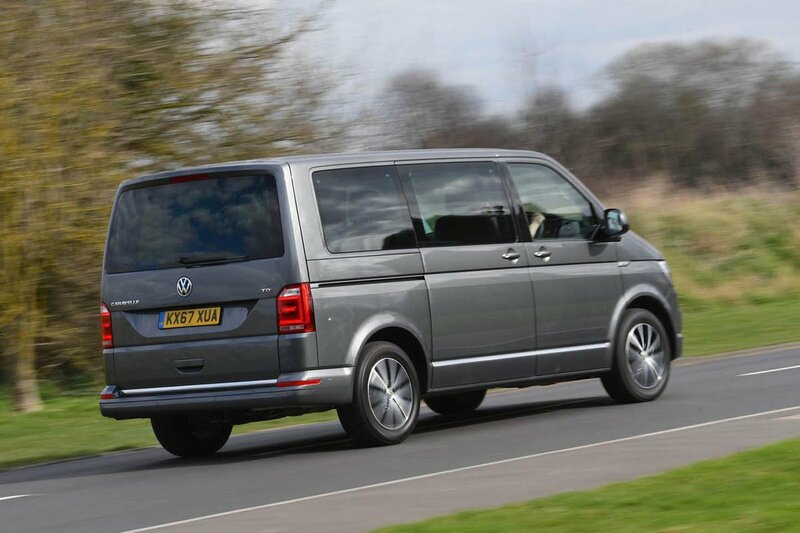 All versions come with seven seats, although these are in a slightly different layout to the MPV norm. The front two rows have two individual seats, while the third is a three-seat bench. All rear seats can be slid backwards and forward or removed completely. Bear in mind that these are hefty, though; even a single seat requires a fair bit of muscle just to slide. 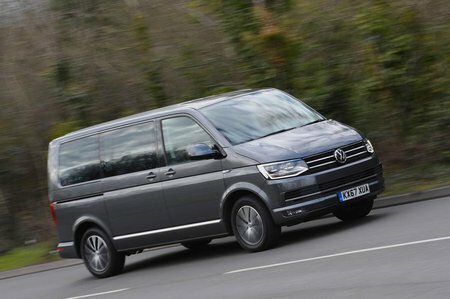 If you need more than seven seats and still want a Volkswagen, you’ll need to look at the even more van-like Transporter Shuttle. 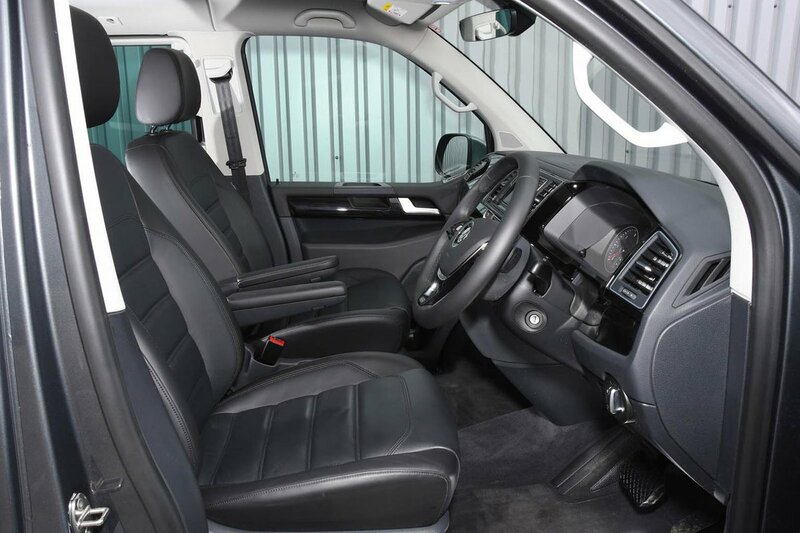 If that wasn’t enough flexibility, you can also spin the second-row seats to face the rear – perfect for business meetings on the go or making your passengers feel very queasy. You also get a table that can slide forward and backwards, move from side to side and push up to chest height. Up front, there are big door pockets with a built-in bottle holder, two gloveboxes, a couple of pop-out cupholders and a covered shelf that hides the USB port and 12V socket. Meanwhile, the seats have handy drawers underneath for even more storage. The final touch is electric sliding doors that can be operated from the dashboard, key fob or the doors themselves. These are standard on Executive trim and optional on SE. An electric tailgate is optional.